Our company is engaged in providing high quality range of Strip Heater. These are manufactured using high grade raw materials that are sourced from superior quality raw materials. Our range includes Strip Heaters and Mineral Insulted Flat Heaters. With our firm commitment on the quality, we are offeringElectric Strip Heaters to our esteemed clients. These heater are manufactured by our professionals with helically wounded resistance coil. This coil is uniformly stretched as well as stung via a series of ceramic insulators. 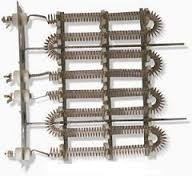 For the positive connection, the load wires are joint mechanically to resistance coil. To ensure their safe usage, these products are covered by the metal sheathing and electrically insulated. 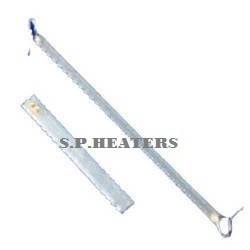 We are a renowned manufacturers and suppliers of Industrial Strip Heaters. These economical heaters are used to heat up flat surfaces. It has a limitation of sheath temperature up to 400 degree. They can be designed to comprise pressure plates to enhance the uniformity as well as transfer of heat. These are offered in different electrical termination styles along with cooling and heating combination. They are used in ovens, hot plates, moulds, dies, drying, melting, baking, incubators, food warmers, air heating, sealing bars and load banks. Screw or wire lead termination Available with heating & cooling combination. Nominal watt density: 20 watts / inch2. Available in sizes: (W x T) 32mm x 8mm, 38mm x 10mm, 45mm x 12mm. Heating Strip for furnace heating elements and other heat-generating applications. The strip is normally delivered in cold-rolled condition with ground surface. Our wide range of resistance heating alloys in strip form makes it possible to select the most appropriate grade and size for each respective application, resulting in optimum end-product performance. The consistent resistivity from delivery to delivery facilitates trouble-free production. Looking for Strip Heater ?